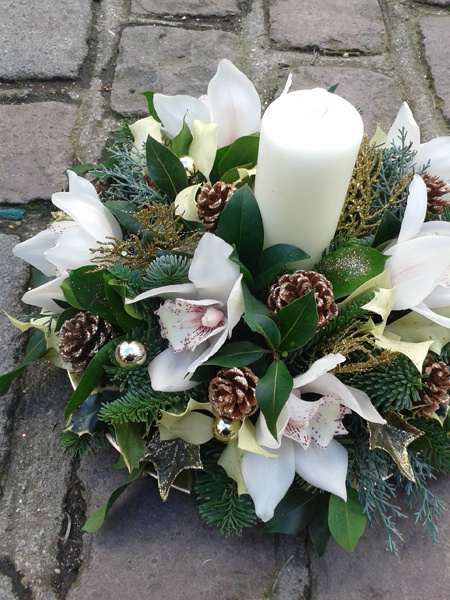 Market Place, Abridge, Romford, Essex. 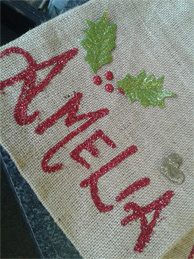 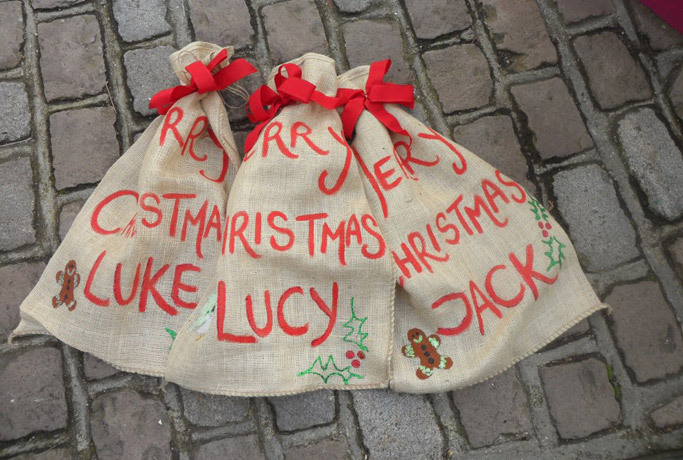 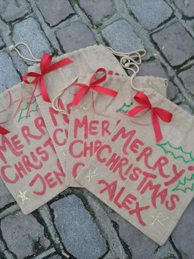 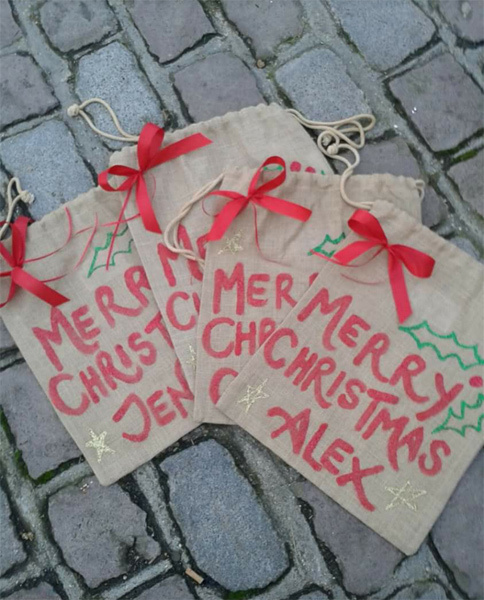 Order your hand Personalised Christmas Sacks today! 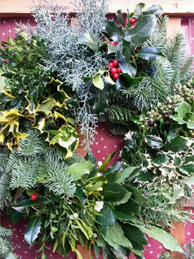 Decorated by us. 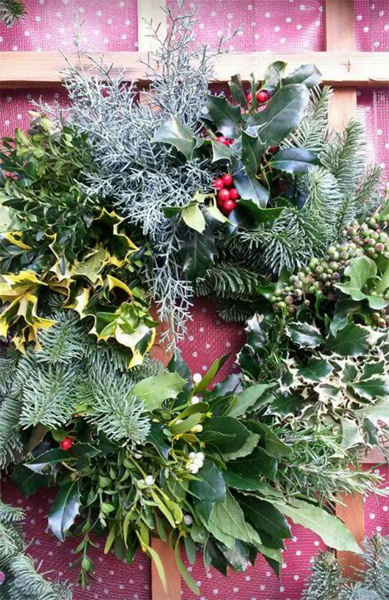 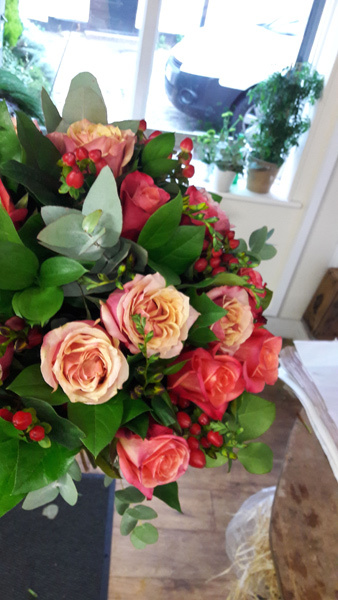 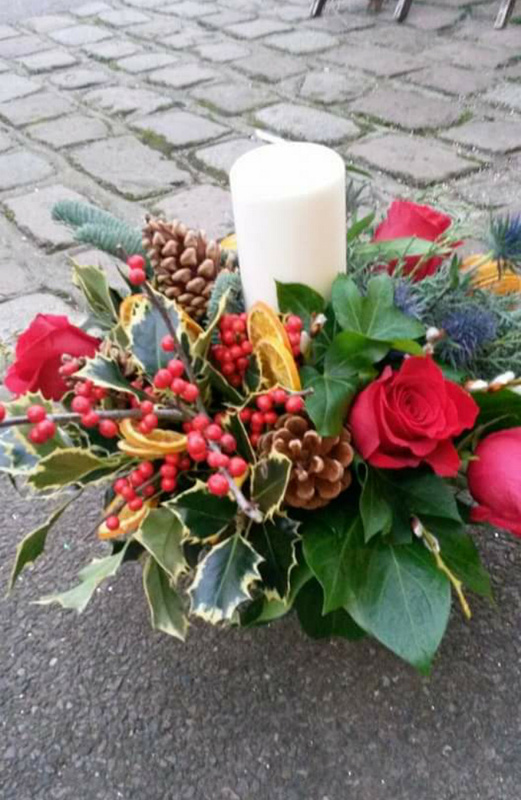 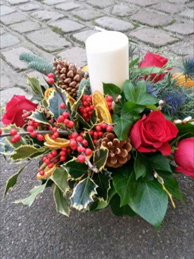 Get in touch for details..
At Abridge Florist we deliver flowers to surrounding areas such as Abridge, Ongar, Stapleford Abbotts, Stapleford Tawney, Loughton, Debden, Theydon Bois, Hainault, Collier Row, Chigwell, Stanford Rivers and Havering Atte Bower. 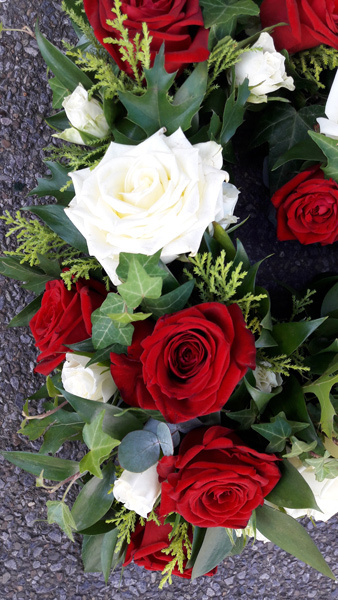 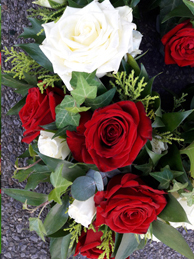 We offer consulation services for funeral flowers (posies, coffin sprays, letters, based tributes etc) and wedding flowers (wedding bouquets, buttonholes, corsages, garlands and other flower arrangements for weddings). 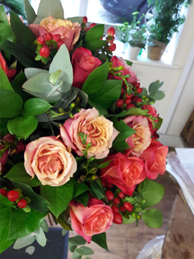 We also have floral bouquets and floral arrangements for any ocassion. 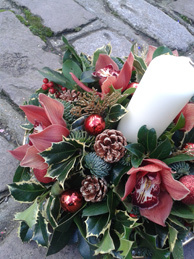 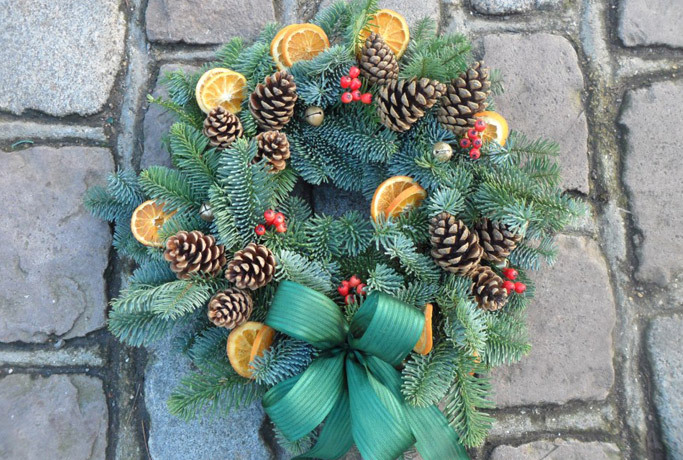 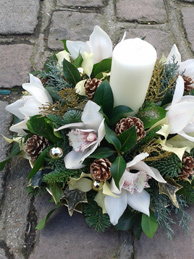 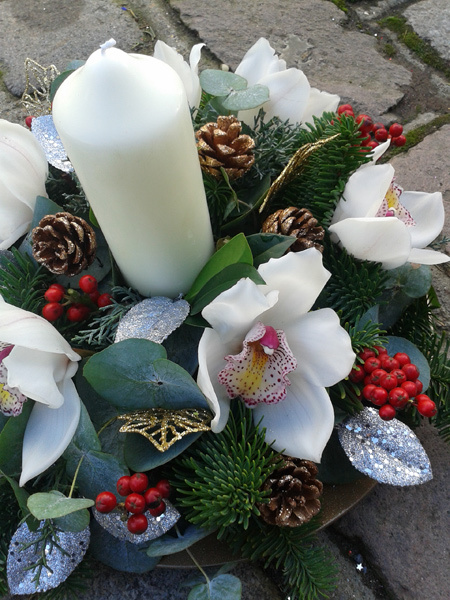 If you are looking for a wedding florist, funeral florist or event florist in Essex, give us a call.